1. If all your employees are not brand ambassadors; you are doing something wrong. 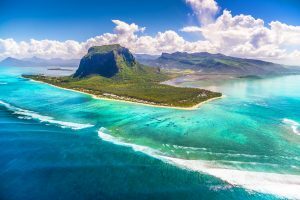 As I mentioned in my first post on Mauritius, I had been there before for work and it was really hectic with deadlines and such. So this trip was one that gave me an opportunity to study Mauritians properly. Everyone I met from the airport to the hotels and tourism sites were brand ambassadors of their country. When I returned to South Africa and attended a USAID event, I met another Mauritian and she sold Mauritius to me again. I do not know how the government of Mauritius did it, but the citizens are their greatest brand ambassadors. They want you to come back and so, they try everything to make you feel at home. Everyone we met tried their bits to leave the best impression of that wonderful island in our memories. And they succeeded. 2. If your employees don’t know your products, you are doing something wrong. The drivers we used from the airport to everywhere we visited were very knowledgable about Mauritius. You would expect that only certain levels of the citizenry would know the history, monuments, landmarks to a great extent. You would be wrong in Mauritius. The drivers would tell you everything you need to know about the history from the slave trade, voyages, shape of mountain heads, etc. They also have a great grasp of the political history of the country. I was amazed. Make sure every echelon of your company have deep knowledge of all products. Don’t limit it to the ‘senior staff’. You’d be doing yourselves a huge disservice as you would have reduced your brand reach. 3. If you don’t invest in training and educating your workforce, it will kill your business. The driver from our tour company that took us around speaks about 7 languages and was learning Russian at that point. He told us that everyone in the tourism industry in Mauritius had to attend tourism school and there are continuous improvement plans for them. His company pays for some of the courses but he personally paid for some courses. They try to speak all these languages to make it easy for their clients from all over the world. I was wowed by this very important truth. Develop your people. Make them the best and see wonders happen. 4. If all your people don’t know how to sell, you are losing sales. The entire organization must learn how to sell. Everyone we met ensured we would come back. But that was not the most important thing I saw. They also sold me the idea of incorporating a company in Mauritius and investing in the local economy. My mouth opened every time I saw this. These were not business executives but tour guides. How did they get to this level? If a driver in your organization is not comfortable enough to sell your products, you are doing something very wrong. Learn from Mauritius. Turn everyone into your sales force. You won’t regret it. 5. If customer service is a department in your company, it would soon fade away. Mauritians are very deliberate about customer service. They just want to please you and make sure you leave with a big smile on your face. 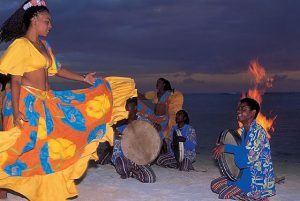 The concept of collaboration is strong in the tourism industry in Mauritius. You can easily see the camaraderie amongst the players. They combine very well to give tourists a complete experience. You just have to make your organization a very tight unit with respect to customer satisfaction. Your KPIs should all lead to the customer. If you can do this, internal politics would reduce as you have only one focus. Delighting your customers. 6. If money is the only thing that makes your employees stay, you are in trouble. I realized something that didn’t make me too happy in Mauritius. They are not a high paying nation when it comes to salaries. I discovered not by them complaining or looking for handouts but by digging into great conversations. Still, they work with dignity not fazed by low salaries. They love their jobs and are willing to go to any lengths to please tourists. Make your employees happy. Value them. Give them a sense of purpose. Yes, pay them well but respect them more. And see how hard it is for them to jump ship. And see how they will do anything to advance the company. I hope you have learned a thing or two from this post. If yes, share with others.